Henry is usually a bit grumpy on waking from his quarterly spinal methotrexate (if all goes to plan, it’s his penultimate). But today we discussed Bolivia’s 2 largest lakes. Their names are the perfect remedy to tickle up a snarky 9 year old. The number 2 is Poopo; Titicaca is the top trump. This entry was posted in Uncategorized on February 9, 2016 by tinketytonks. This entry was posted in Uncategorized on December 13, 2015 by tinketytonks. It’s been a crappy week, writes Celia. For the last ten days we’ve been in and out of hospital trying to work out what’s causing Henry’s mystery symptoms. Of course, the whole hemisphere is ill at the moment, and of course Hen’s not immune to this. But swelling lymph nodes and fatigue, I do not like. JD’s assuming it’s a self-limiting virus. This means he’s at work, working; probably thinking about what to have for tea tonight, or having a barney with a Daily Mail journalist. I’m spending the day standing at the kitchen counter checking my phone’s switched on and that it has a signal, should the hospital call. They really ought to have been in touch by now – they took his last bloods at 8 this morning – what have they seen? are they in a meeting about it? are they working out how to tell us? what will happen next? The treatment for kids who relapse at this stage is unthinkable. Will we still be able to live in London? Where will Huck go to school if we don’t? What about the new job I’m supposed to start in two weeks? This is not the way to exist. And it’s not how we have existed for the last two, nay five years, since life got tough on our kids’ health. 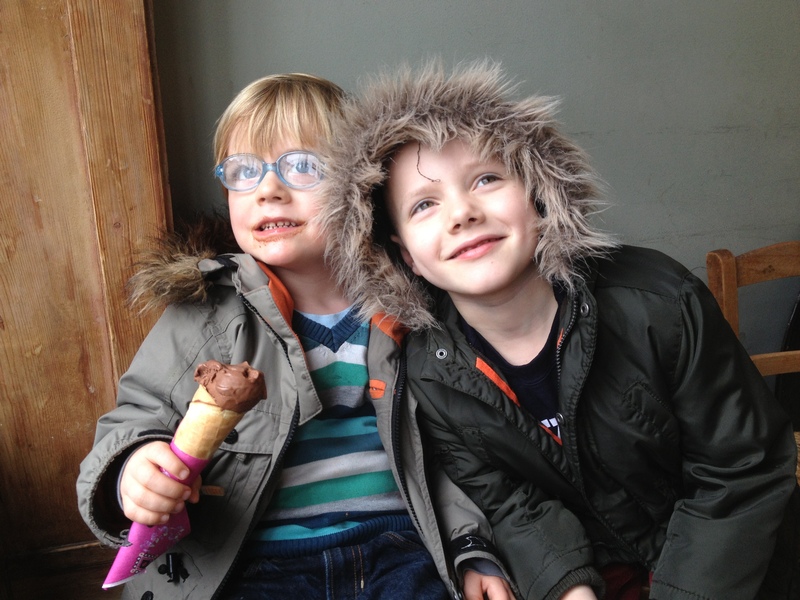 After Huck definitively won his battle against extreme prematurity, septicaemia and a brain heamorrhage, I had been through enough to know how to live. When you’re having a good day, have a good day. Don’t spend it fretting about the next bad one. Feel the sun on your face. Or go to work, and work. No-one benefits from you shaking and staring at your phone for hours, willing someone to phone through an answer to your anxieties. Henry’s at school and going to his Xmas party this afternoon. That should, surely, count as a good day. I am going back to see my therapist shortly, to see whether I can learn it all again. Because, whatever’s next for Henry, living in fear is not a help. It’s been creeping up on me for a while. And I know it’s probably linked, in part, to changes going on away from the world of Hen’s health. A couple of months ago I handed in my notice to the job where I’ve been happy and secure for some time. Ever since, I’ve kept on looking up at the heavens, waiting to be punished for my hubris. Who said I could have a child in remission and a new job? Just who, exactly, do I think I am? My sister noticed I wasn’t myself on our half-term holiday in October. She pointed out to me that I was acting much more worried than usual. I know she was right because of the humungous number of shots I took of Henry on that holiday– the same picture, over and over again. In the first few months after Henry went into remission, I took thousands of pictures. Multiple shots of the same scene, over and over. And I can’t delete them. I agonise over deleting even just one, in order to make room for more. What if we lost Henry, and what if Huck had to live with a fading memory of his beloved brother? What if I somehow inadvertently deleted the shot that would convey the essence of Henry – the one where he was flashing us an important message with the sole of his foot, or the back of his neck? I have many, many shots of Henry on the beach from a sunny day in Majorca in October. The sun was in his hair and I needed to trap it there. I clicked and clicked and couldn’t capture the way his curls catch and reflect the sunlight. I know what I’m trying to do. Hence, the Dylan Thomas quote above. You can catch and sing the sun in flight, but you mustn’t learn, too late, that you were actually grieving, rather than singing, it on its way. And the problem with trying to grasp and pin down the world every minute, is that you miss it in flight. I took Henry for his first hair-cut (since it grew back after chemotherapy) last week, just after all the mystery symptoms came and our most recent run of hospital visits started. I couldn’t face the idea of it coming out again for more chemo, without having enjoyed one normal barber’s trip. I cut off a curl before we left. It’s in a paper package in a cupboard. It’s frozen in time, and it hasn’t done the job at all. 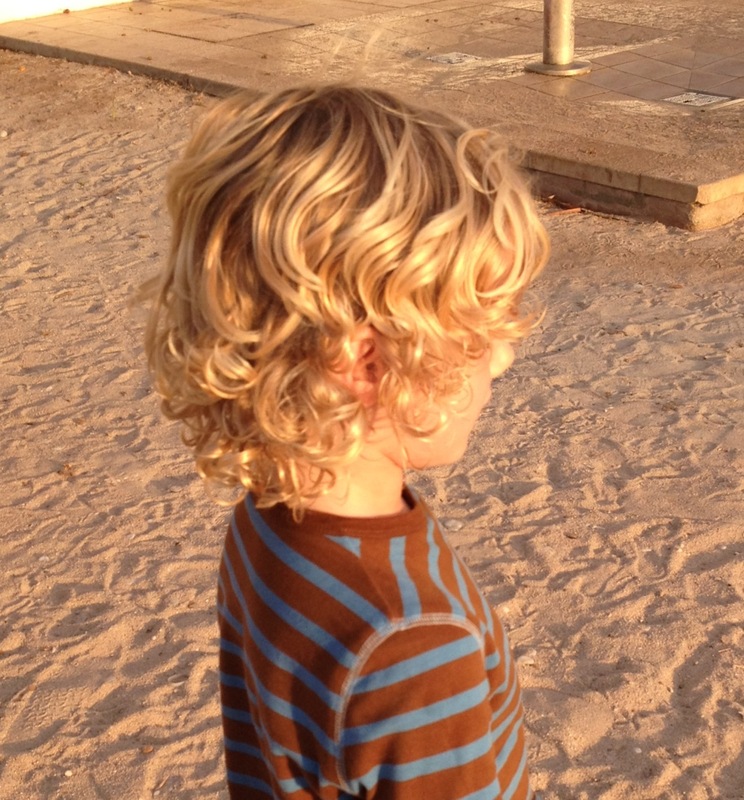 The sun is on Henry’s curls on his head, up in the playground at school right now. 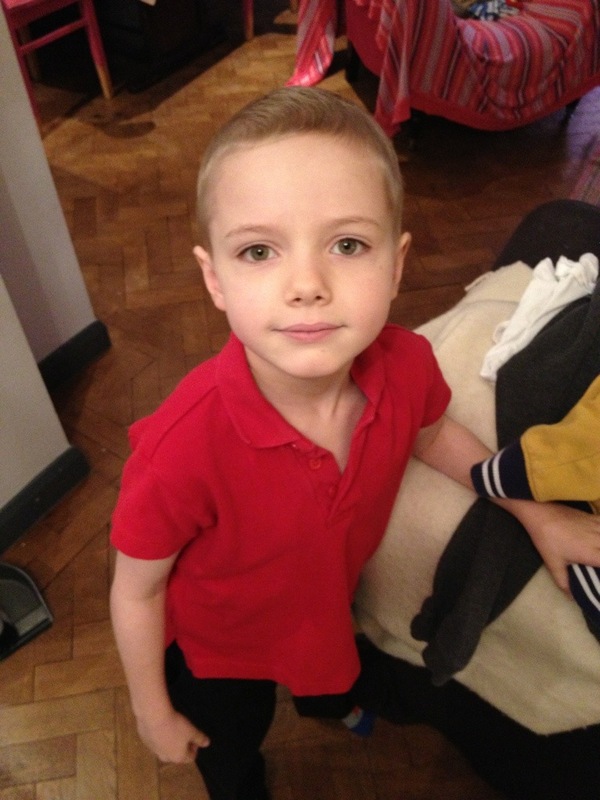 This entry was posted in Hair loss, Mum and tagged ALL, chemotherapy, childhood, family, Henry on December 16, 2014 by tinketytonks. Shortly before diagnosis, H had been sickly for several weeks – with various winter bugs and an overwhelming tiredness. In my wallet, I carry a photo of Henry and Huck. In fact I have several – like most parents. But there is one always at the top. It’s been there since before Christmas in 2012 and it’ll stay there for a long time. I haven’t got a digital version of the photo (this one is scanned and grainy). 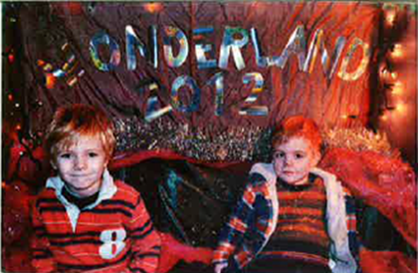 It was supposed to be a fun Polaroid – taken at the school’s winter festival. Originally I kind of liked the boys’ disinterest in contrast to the surrounding glitz. I don’t mind that it’s fading and getting a little tattered. But now I like it for different reasons. In the photo Henry looks small and tired. And that’s because he was. Catching the mood, Huck looks unimpressed. Henry’s half-smile speaks volumes about that time. He was putting a brave face on several weeks of winter bugs that he couldn’t shake off and he was dogged by a consuming fatigue so he struggled to walk the short distance to school each day. 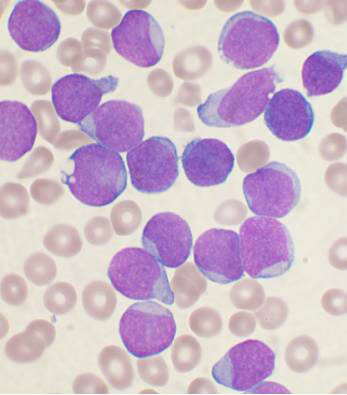 “Bone marrow cells affected by leukemia”. Photograph. c/o Encyclopædia Britannica Online. Web. 17 Nov. 2014. About this time, he banged his leg at a pre-Christmas party and was in agony. We didn’t realise that his bones were filling with mutated white blood cells that, far from defending him, were killing him. But now I like the photo because it reminds me of how far he’s come. 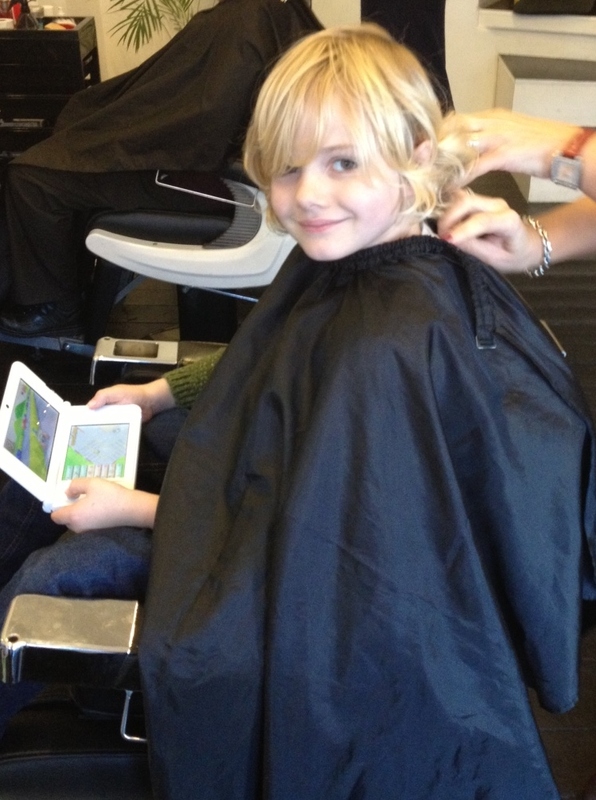 Everyday Henry gets taller and faster and has ever more hair (his mother refuses to get it cut after its loss). And this week Henry is exactly 18 months – that’s halfway – through his “maintenance treatment”. At 3 years (2 years for girls), this is the longest phase of the treatment. The clinical trial that Henry’s part of seems to have been good to him. He doesn’t have monthly injections of the chemotherapy vincristine nor the horrible steroid dexamethasone. Everyday we hope that the treatment is doing enough to stop the return of the leukaemic cells, and we celebrate the relative normality of H’s life. From time to time we get reminders not to be complacent. He still doesn’t spring out of bed in the mornings, which is sometimes scary, but he doesn’t want to lie down in the street either. Winter is not a good time to have severely reduced immunity. Early this month, H came into contact with someone with a suspected case of chicken pox which sent us scurrying to the oncologists. He was given two syringes loaded with chicken pox antibodies extracted from the blood plasma of donors. This is not something you want to do lightly. But risks and benefits have taken a different meaning for us. And he is well. 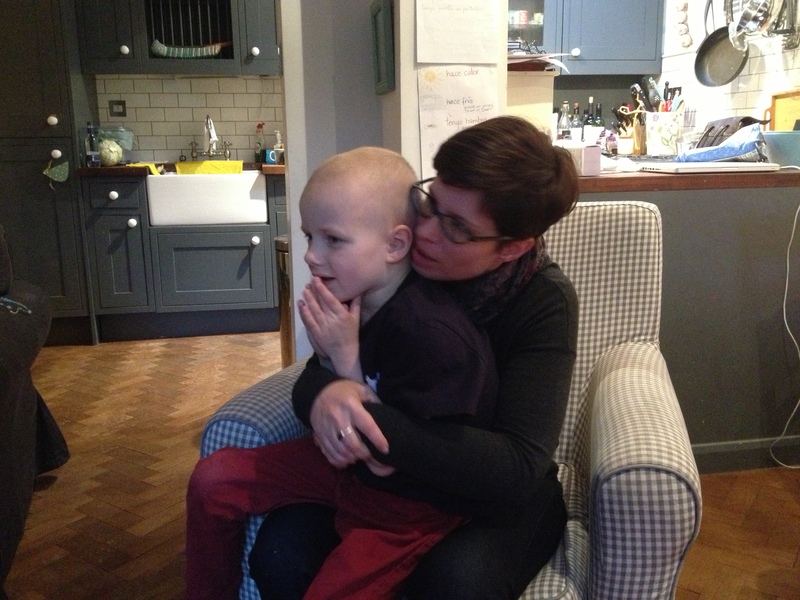 Everyday I look at the little, pale, tired boy, in the picture, think of the hair loss, the chemically red-tinged chemotherapy skin, the theft of his speed, the dripped-in and fought-over medicines and all the other complications he has borne. And then I look at him now, halfway through maintenance with his hair and his cheeky grin, infectious laugh and his energy. I like that tatty photo because it reminds me of distance travelled and gives me hope. This entry was posted in Uncategorized on November 17, 2014 by tinketytonks. Are we trying to beat childhood cancer? Henry is on old medicines. That is, they were developed a long time ago. We’re lucky in that mostly they work. Over the years, their combination and use has been tested and tweaked. 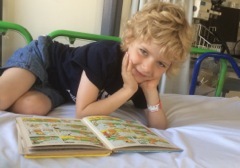 And now Henry, as part of the clinical trial UKALL2011, is helping to tweak the treatment further. This trial is about reducing the levels of poison needed to beat this childhood cancer. These treatments have long-lasting effects; so striving to improve them is hugely important. The idea is to make the rest of H’s life and the lives of future children with leukaemia better. I’ve wondered for some time why the medicines have been around so long and why new treatments have not appeared. This documentary helps to explain. I’m delighted the excellent BBC documentary team at File on 4 have shone a light on this. Now it’s time for politicians, mandarins and industrialists to act. Kill two birds with one stone: you could always download the podcast and listen to it while giving blood. This entry was posted in Chemotherapy, Leukaemia, Uncategorized and tagged ALL, BBC, cancer, childhood, File on 4, UKALL 2011, vincristine on July 18, 2014 by tinketytonks. It feels a bit strange to be back at Great Ormond Street after 3 months away. Henry has continued to have the weekly blood tests but there has not been much to report. This is of course a wonderful thing. That’s not to say things have been event free. There was a vomiting bug which a year ago would have wound us up nicely. 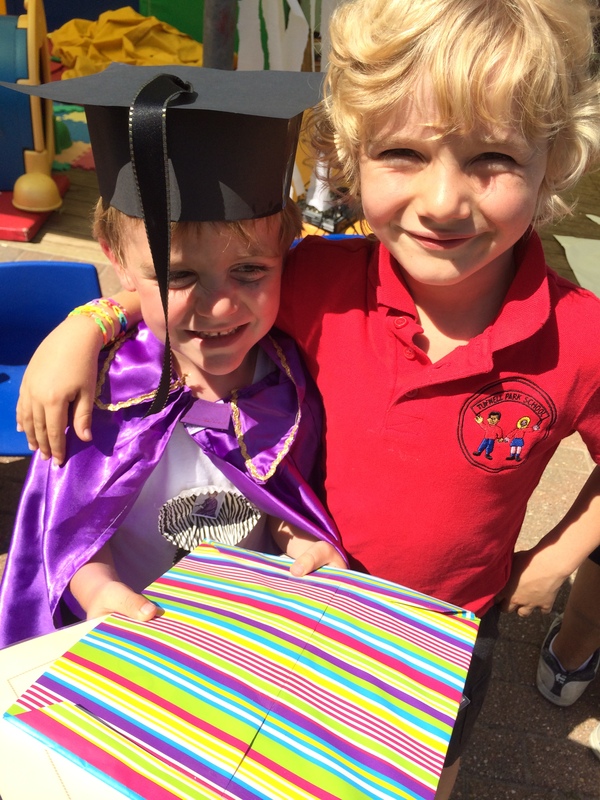 But Henry seemed to recover from it faster than many of his classmates and it didn’t send us into hospital. And then there was an allergy scare in March. The doctors were worried about the low levels of oxygen in his blood. We thought he might have been allergic to one of his chemotherapies. That would have been highly unusual and bad news. 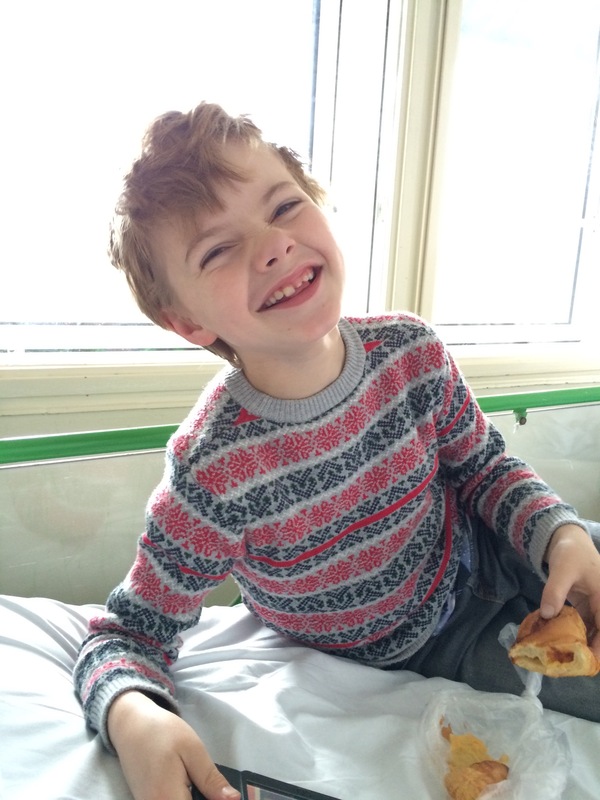 Henry is getting less than the normal treatment because of the clinical trial he’s in. With a disruption to the chemotherapy, we could have been back onto the normal protocol which is much harder. That would have meant monthly vincristine and its steroid henchman dexamethasone. The periwinkle is the source of vincristine’s oomph. 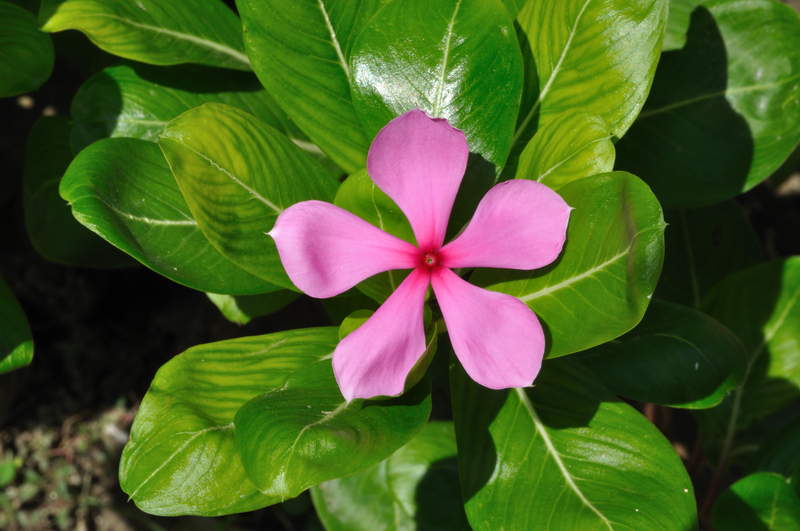 Although it’s a drug derived from the rather lovely periwinkle, vincristine’s side effects are not so charming – hair loss, muscle and joint pain, nausea. The allergic response was to a drug he takes each week to prevent a type of pneumonia that can strike patients with compromised immune systems. The drug, Dapsone, is usually used to treat leprosy… and it did something his red blood cells were not keen on. So now Henry is back on his old foe Septrin – which he hates. But by giving it to him in crushed tablets and calling it by its compound name co-trimoxazole we’re now getting it down him. In fact the medicine refusal has largely disappeared. The most dramatic change has been on Henry’s hair. 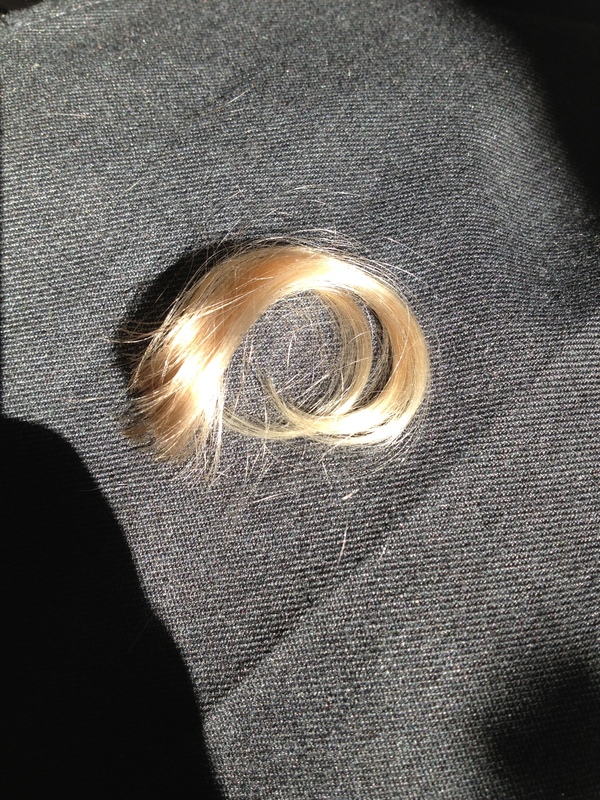 This has come back beautifully blond and continues to spiral out of control – to his annoyance and our delight. We’ve been very poor bloggers. It must be 8 or 9 months since we last posted. But it is a sign that things can return to a normality that we post so infrequently. 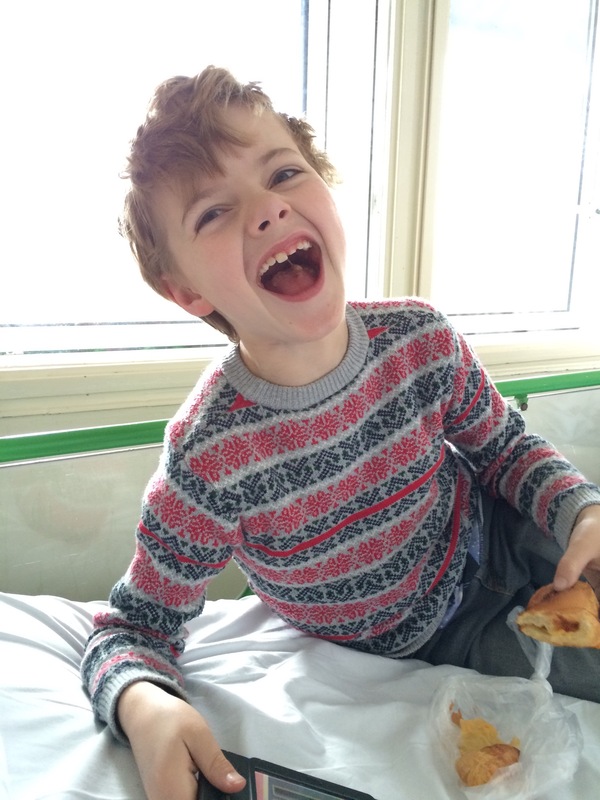 Today Henry is in for a general anaesthetic so they can put methotrexate into his spine. I was thinking yesterday that we were getting used to this. But that’s not possible. While Henry is taking it in his stride, the prospect makes me feel distinctly queasy. Celia and I are not clasping each other for reassurance as we did when he was first put under. But there’s nothing normal about it. This entry was posted in Uncategorized and tagged ALL, camping, cancer, chemotherapy, dexamethasone, Henry, Leukaemia, madagascar periwinkle, vincristine on July 3, 2014 by tinketytonks. 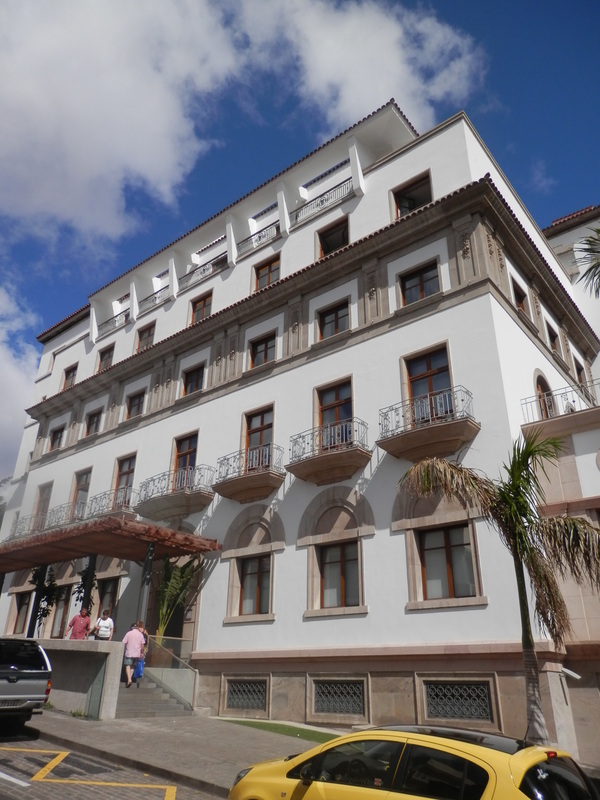 The Iberostar Grand Mencey Hotel has said sorry without reservation. The manager took full responsibility for causing the problems that led to our complaint and we have accepted his apologies. In the UK we have legislation which protects the families of people with disabilities (and cancer is included in this) because mis-treating close family members is considered indirect discrimination. I’m no lawyer and cannot say if this would have applied in this case if it had happened in the UK but it felt pretty rotten to us. The hotel accepted this and have made amends. We’ve had some really kind and thoughtful comments and thousands of people have visited the blog. Once again we have learnt that while cancer can be truly awful, it also brings out the very best in most people. Thank you for all the support and having our backs – it matters a great deal. This entry was posted in Uncategorized on October 28, 2013 by tinketytonks. Is this discrimination against a cancer patient and his family? It feels like it. 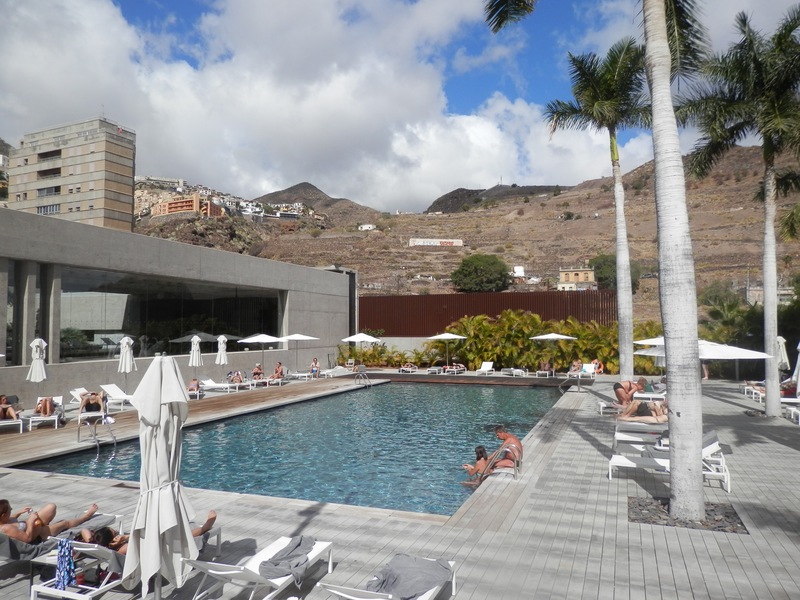 Here we report on the Iberostar Grand Hotel Mencey in Tenerife. This morning this hotel reduced Henry to tears. That’s not easy to do. He has had needles thrust in his chest, regular injections in his spine, he has had high levels of vein-dissolving chemotherapy, he has had blood and plasma transfusions, he has had his hair burnt out by his medicine. He has had disfiguring steroids that have swollen his face and body and others that have made him unable to run, sometimes even to walk. He has fought all this with as much patience as he can muster, which is a lot. He has not faced meanness until today. It was the meanness that brought on the tears. 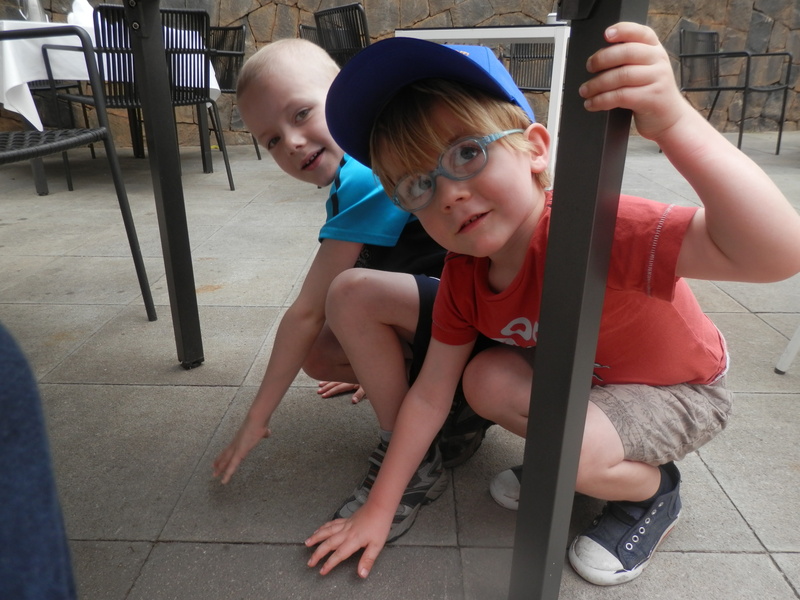 Today he tried to go for a swim with his brother in our posh hotel – the Iberostar Grand Hotel Mencey. He’s a guest here. His bed did not come cheap. But we’ve had a very hard year and this is Henry’s first big holiday since he was hospitalised on New Year’s Eve 2012. The hotel decided we could not. Henry would be allowed on his own but not with his brother or both his parents. Because of his leukaemia, Henry has little tolerance to the sun. 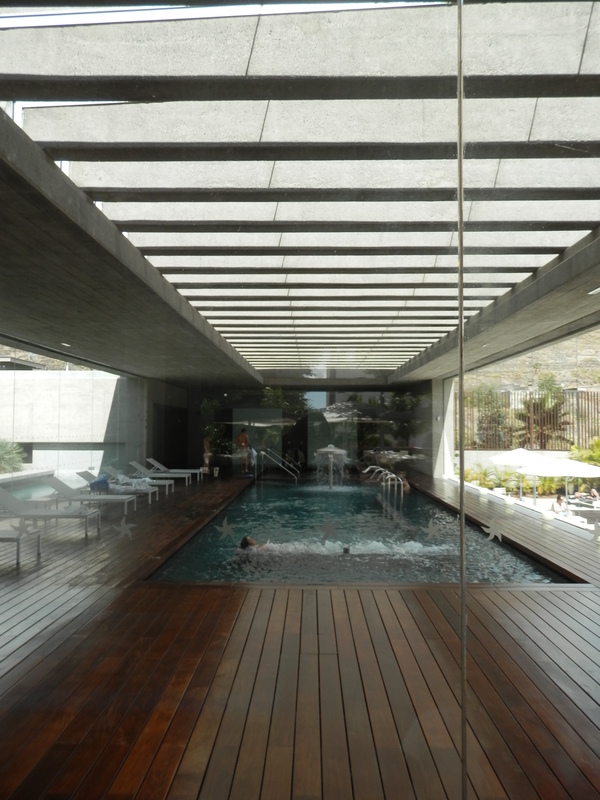 There is an indoor pool, and an outdoor pool that has no shade at all. We chose this hotel because it would give us options – to avoid the heat of the sun when necessary. But when we asked for a short swim in the indoor pool, as it is not safe for Henry to swim too long in the direct sun, we were told the indoor pool was for adults only (a fact not made clear on the website). The pool is empty much of the time. Even though it’s a 5-star hotel the staff were totally inflexible. Henry’s kindly Uncle G, who has contacts in the hotel trade, made some requests behind the scenes and we received a call from reception and told our use of the indoor pool would be ‘no problem’. Family permission withdrawn. Looking into the indoor pool. We had a 20 minute swim and the boys were quiet and well-behaved. Two days later we returned to the indoor pool and our permission to swim as a family had been withdrawn. Apparently a fellow-guest had complained. The hotel manager said he had explained to this guest that the hotel had made an exception for us because our child has cancer, but the guest had said that this was not her problem – it was ours. The hotel decided to prioritise this complainant’s wishes over ours. We have, overall, been lucky on our travels when we have needed some flexibility. This is one of the few things that helps you through the grinding misery of childhood cancer. The Grand Hotel Mencey – one of the jewels of Iberostar’s chain – has been the exception. They have shown us meanness and shown our children that, in some establishments, intolerance is rewarded. I’m not sure this would have been legal in the UK, Iberostar insists that in Spain it’s fine. It has tarnished our longed-for holiday that we have stretched ourselves to give the boys. This entry was posted in Uncategorized and tagged cancer, discrimination, Hotel Mencey, Iberostar, Leukaemia, swimming, Tenerife on October 27, 2013 by tinketytonks. The smoke alarm went off this morning. As ever our 4 year-old, Huck, dashed out of the room. He is terrified of alarms. We are used to his reaction to smoke alarms, car alarms and even hand-dryers in public bathrooms if they are high-pitched enough. We don’t really stop to think that it is odd. 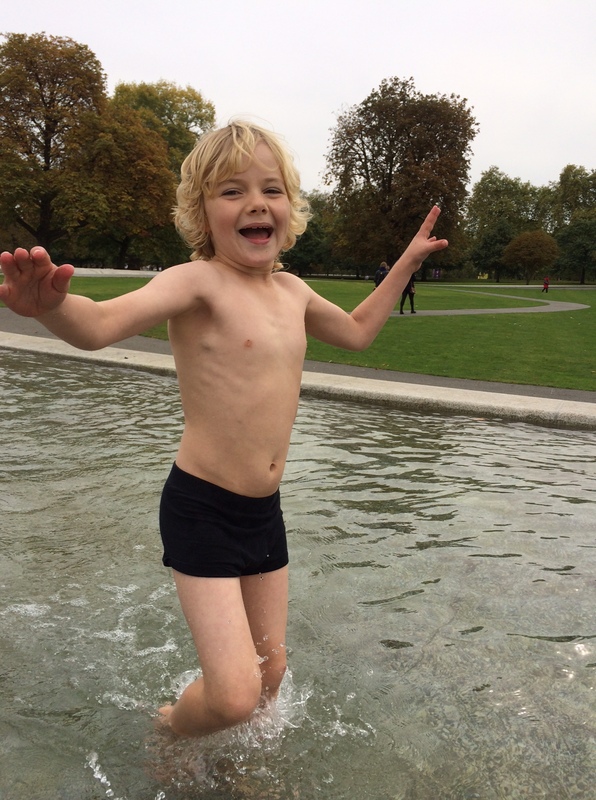 We’ve always put Huck’s fright from alarms down to his 101 days in hospital after he was born 13 weeks early. If you’ve ever been to a neonatal intensive care unit for the wrong reason, you’ll likely have been struck by the discord sowed by the alarms – an apparently random dissonant collection of noises. They don’t really stop. They are there to warn you that your child’s oxygen levels have dropped to dangerous levels, that they have stopped breathing, or that their heart has paused its beating. Back when Huck lived in intensive care and for a good while afterwards, we heard the alarms in our dreams. I don’t see why children, like adults, should not be affected – however difficult that is to prove. Henry’s yellow hair is sprouting again. He is catching up on his school work. He is getting faster. Every day, he looks a little healthier. But last night, he climbed into bed with us. I only realised when I was woken by the sound of him grinding his teeth. Trauma for children must be expected, but we are given little guidance on how to spot the signs and how to tackle it before it becomes an issue. Today our marvellous friend and cheerleader Pam, who is in London from the US for a few days, shared a blog by Perri Klass published on the New York Times website (Haunted by a child’s illness) that reminded me that Huck’s reaction is probably not normal, and that Celia and I need to be mindful of our own response to the upheaval in our home. For our sake as well as the boys’. There are so many good points in the NY Times blog. Do parents suffer a kind of post-traumatic stress disorder in the years after a child’s illness? What effects do children and parents suffer? How can you tackle these problems? How do you stop them in the first place? My mantra during the days with Huck and more recently with Henry (picked up second-hand from BBC warzone training) has always been: Don’t become part of the incident. Others might call this unhealthy denial. But we have been enormously lucky to have huge amounts of support. 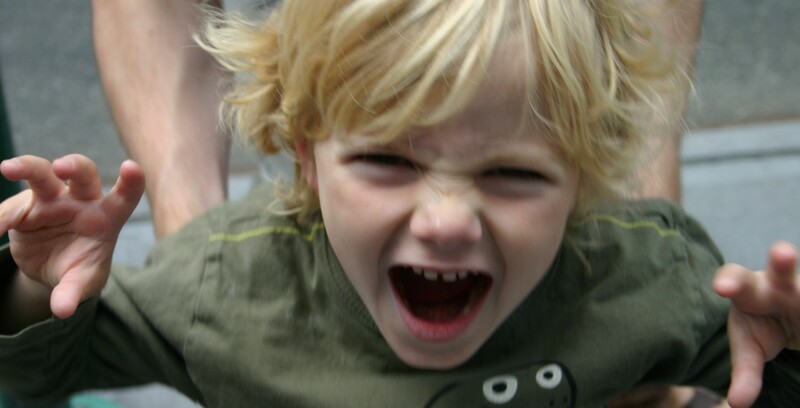 We have this blog where we vent our anger and “get it out”. We have employers who give us the space to deal with our lives. We have friends and family who provide for us in any number of ways and force us to take time out. And we know our responsibility: we do everything in our power to stay well – mentally and physically. We know we are in a struggle. When writing the news at the BBC, particularly when dealing with harrowing stories, I tried to separate myself from events – deliberately trying to be dispassionate. There is a difference between where I was and actually being in the heat of the action. In the newsroom, I could look away from the feeds bringing in frightful, often disgusting pictures of atrocity. I could turn my eyes to more normal scenes when I needed to. I was rarely in the field. I’m lucky that I was never caught up in the horror of a country facing upheaval or directly and devastatingly drawn in to the action of a country in crisis. But I had colleagues who were. And they took different, but often unsupported ways to try to reconcile for themselves what they had seen. There is an excellent article on this: Journalists and trauma: ‘Some images you can’t forget’. And I know now that “being dispassionate” doesn’t work. With Huck and Henry we have been in the field. With help we have come to cope with it. I hope. This week, the charity, Macmillan Cancer support has released research saying that nearly a million people in England look after someone with cancer, half of them felt they weren’t getting enough support, and nearly half suffer mental health problems. Macmillan’s research coincides with a campaign to influence the Care Bill which is currently being discussed in Parliament. Please click on the link and ask your MP to do their bit for carers. Most people are not as lucky as we are. This entry was posted in Uncategorized on October 15, 2013 by tinketytonks.